PGG frequently assists in cost allocation and recovery under Model Toxics Control Act (MTCA) and Superfund and in securing insurance coverage for environmental releases. PGG is innovative, using tools such as chemical forensics, fingerprinting, and congener statistics to characterize sites. 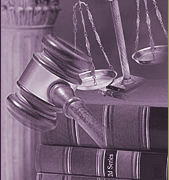 We often serve as fact/expert witnesses or provide environmental support for litigation. PGG is currently conducting investigations of multiple properties in Portland Harbor to identify past activities and sources of contaminants including PCBs, PAHs, and metals. Our services have included assisting in disclosure questionnaire responses and reviewing other parties’ responses. PGG led the investigations of historic filling and activities that may have caused releases; and contaminant fate and transport including source evaluation, transport, kinetics of reactions, degradation, and contaminant statistical comparisons to assess attribution, cleanup allocation, and Natural Resource Damage allocation. By working closely with technical and legal team, PGG is providing the highest level of scientific scrutiny of investigation design, modeling, analytical laboratories, methods, and interpretation using multiple lines of evidence. Other project contributions have included a site conceptual model, transformer and catch basin sampling approaches, PCB source tracing, sediment sampling and analysis approach, and identifying data gaps. PGG conducted a MTCA RI/FS of the Kaiser Shipyard in Vancouver, WA on behalf of the City of Vancouver. We identified historic filling, grading, paving, and sources of contamination using existing reports, files, and aerial photos. The disproportionate cost analyses indentified a preferred containment remedy, for which Ecology granted a Property-Specific No Further Action. Close Ecology communication was key to this property on the Columbia River with multiple parties, two of which asked PGG to close their sites due to our success at the Kaiser Shipyard. PGG assisted in allocation resolution. PGG assisted a Tacoma-area chemical manufacturer to obtain EPA approval for an arsenic remediation plan by conducting a feasibility study to demonstrate the plans were protective of shallow marine sediments. EPA used our analyses as a basis to approve plans in time to meet a critical construction window. PGG is also achieving source control with Ecology approval under Agreed Order. The manufacturer, whose products included sodium hydroxide and arsenic pesticide, had previously disposed of wastes in two ponds. These substances migrated toward the Hylebos waterway, where a 1000-foot sheet-pile wall had been constructed through two aquifers to slow arsenic movement. Despite the wall, arsenic discharged to sediments in a concentrated subtidal layer where the aquifer discharged to the marine water. PGG evaluated extensive existing data and filled data gaps to predict the behavior of the arsenic as it approached the marine sediments. PGG calculated aquifer and tidal mixing factors to assess the risk related to recontamination of the sediment caps and to defend upland action levels (monitoring well arsenic concentrations) that are protective of the caps. Arsenic fate and transport processes are extremely sensitive to pH. At this site, pH values ranged from nearly neutral to over 12. In addition, the increasingly saline conditions near the Hylebos were suspected of causing changes in arsenic speciation (and thus mobility) along the flow path. Upon encountering neutral marine waters, the dissolved silica carried in the high-pH groundwater precipitates, leaving behind deposits of opal and brusite. The site’s tidally influenced hydraulics added to the complexity of the problem. PGG managed Superfund/NRD cost allocation for five Commencement Bay Hylebos Waterway sites. We assessed environmental history, fate and transport of possible contaminants, and relationship to contaminants of concern in Hylebos sediments. In addition, PGG developed a decision model for Superfund cost allocation. We studied arsenic in sediments with metal filings. The Hylebos has significant upgradient sources of arsenic released historically by chemical manufacturers. Arsenic, released to surface water may be subsequently scavenged during oxidation of iron filings and metal debris. This scavenging mechanism was shown to be a likely source of arsenic in metal debris. PGG assessed attribution for cleanup of sediment sample locations using PCB fingerprinting and contaminant fate and transport. We also assessed the attribution of contamination from waterway sediments to the upland properties by sampling sediments along transects and PCB congener statistical studies. PGG’s efforts successfully decreased allocation for the properties. PGG was the lead consultant for the Potentially Responsible Party (PRP) group on this complex, tidally-influenced landfill in the Snohomish River estuary. We developed an approach to the RI/FS and reviewed EPA’s work plans. PGG presented EPA headquarters in Washington, D.C. with an evaluation of the site’s ranking, alternative contaminant transport pathways, and data quality and sampling techniques. We led project strategy and negotiated a presumptive remedy RI/FS under the Superfund Accelerated Cleanup Model. We developed a conceptual model of contaminant transport from groundwater to surface water. Based on this review, we presented EPA with detailed plans for drilling, testing aquifers, and simulating groundwater flow by computer modeling. We participated in the final negotiation of the work scope and oversaw field activities on behalf of the PRP group. PGG served as expert and developed declarations regarding wastes and releases in cost allocation at this Superfund site. Our responsibilities included assessing chemical and regulatory nature of wastes and evaluating environmental fate of chemical waste, duration, and toxicity of wastes. PGG principal Janet Knox was the lead environmental chemist for the RI/FS of the Bangor, Manchester, and Jackson Park Superfund Sites into multi-phased soil/sediment/surface water/groundwater/biological investigations under the Department of Defense. Sites included incinerators with chlorinated organic compounds and metals in soil and ash, PCB/waste oil, and ordnance contamination. PGG calculated contaminant loading and risk evaluations to aquatic life and human health. In addition, we were responsible for developing an analytical method to measure munitions compounds in tissue and for perfecting methods for soil/sediment/water matrices. PGG provided expert witness testimony for a MTCA environmental liability allocation at a large mercury vapor chlor-alkali site. We assessed air releases, surface water runoff, mercury contamination in soil and groundwater, and calculated mercury transport rates. In addition, PGG developed opinions regarding historic activities, source, and timing of contamination. PGG served as expert witness for illegal dumping of environmental waste and poor waste handling practices at a RCRA hazardous waste treatment facility. We calculated loading of metals, PCBs, dioxins/furans in pumped wastewater to a creek and assessed sediment and water quality following the discharge. PGG performed JARPA-permitted cleanup in Hamm Creek and assisted attorneys develop questions for citizen witnesses. PGG was the technical lead for public review and comment on the Bainbridge Island Wyckoff (Pacific Sound Resources) Wood Treatment Facility/Eagle Harbor Superfund Site. We worked closely with the EPA and public to technically review the work performed under Superfund. Site issues include waste disposal, contaminant transport, and investigative approaches. PGG’s efforts received an EPA Award for Excellence and we were appointed to the Wyckoff Generational Remedy steering committee. We worked with national experts to develop approaches to remove contaminant mass using combined thermal, stabilization, and hydraulic control. PGG conducted an initial Environmental Assessment and Remedial Investigation for the Superior Oil Terminal on the Thea Foss waterway in the Port of Tacoma. Work included inspecting the site, reviewing aerial photographs, reviewing existing reports and site permits, examining waste streams, and identifying industrial processes and likely contamination on adjacent properties including sediments of the Thea Foss Waterway. To characterize the site, we installed, tested, and sampled 15 monitoring wells for organic and inorganic constituents. We also analyzed groundwater flow, incorporating the effects of tidal fluctuations and floating hydrocarbon product, and ran a groundwater flow model to help design remedial actions. Interim remedial actions to control the discharge of contaminated water to the adjacent waterway were conducted using our concepts.